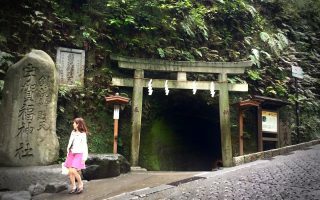 There are many options for getting to the city from Narita Airport. If you don’t want to deal with all the confusing options, then keep it simple and take the Sky Liner from Narita Airport. 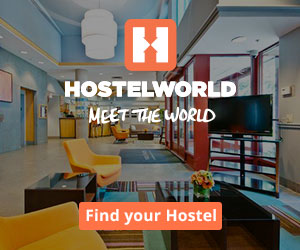 If you are traveling on a budget, then I recommend you to read through the options, and choose the one which fits your budget and destination the best. 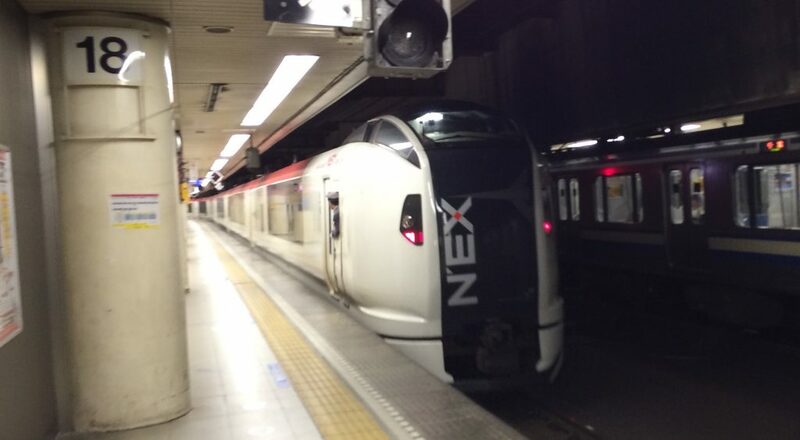 The Narita Express (called N’EX) is a dedicated airport train operated by JR East. The train runs on a separate high speed track and is therefore very reliable time wise. 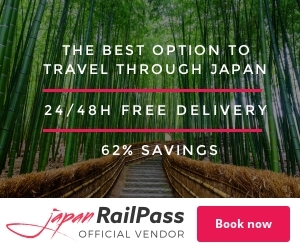 One of the big advantages of the Narita Express is that it is covered by the Japan Rail Pass, so if you have one of those and have activated it at the airport, then the transfer is free. All you need is a seat reservation, which you can get free of charge. 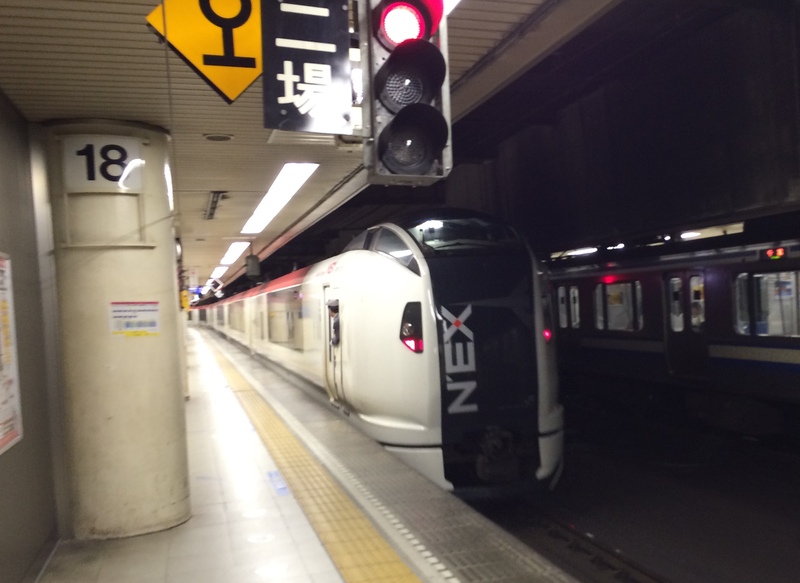 The Narita Express leaves from Narita about every 30 minutes. 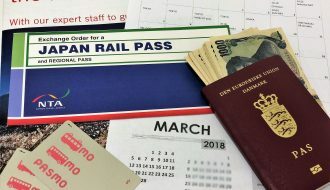 If you don’t have a Japan Rail Pass, then you can instead save a bit by booking a round-trip ticket for ¥4,000 ($36/€32). The tickets can’t be purchased in advance – you must buy it at the station. Read more on the N’EX website. 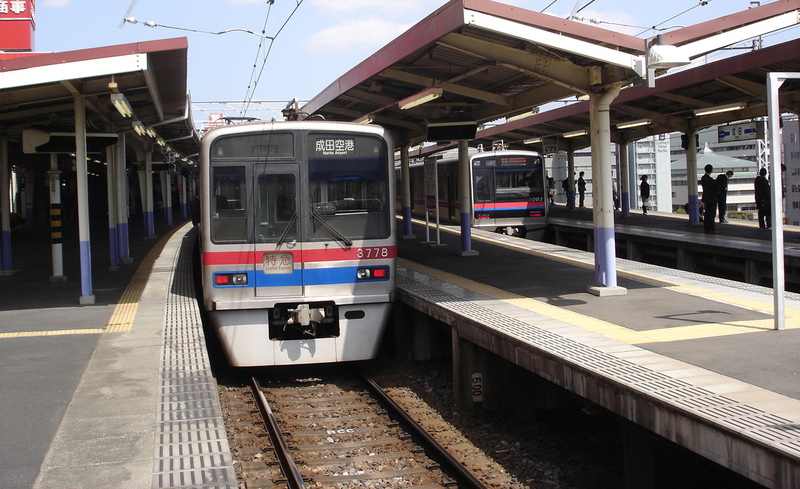 The Sky Liner is a dedicated airport train operated by the Keisei Electric Railway. 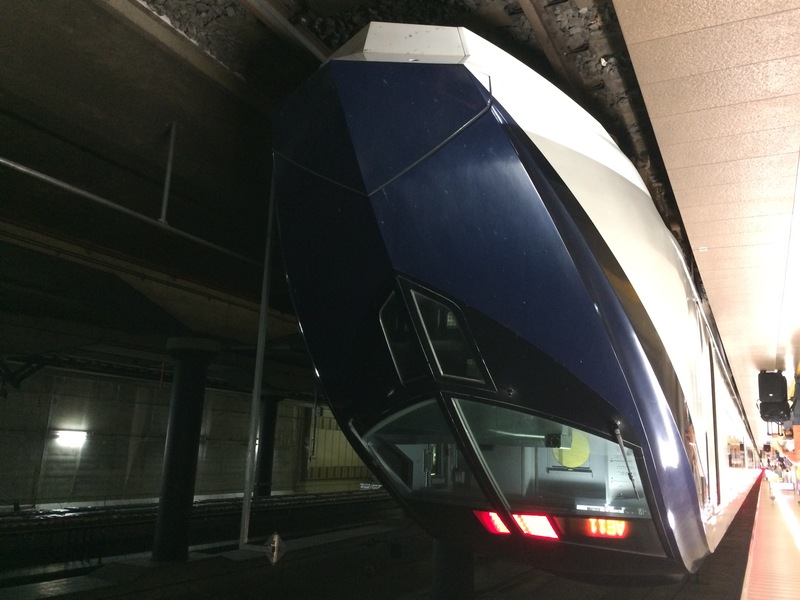 It runs non-stop from Narita airport to Tokyo. The train calls at Nippori Station and Ueno Station. 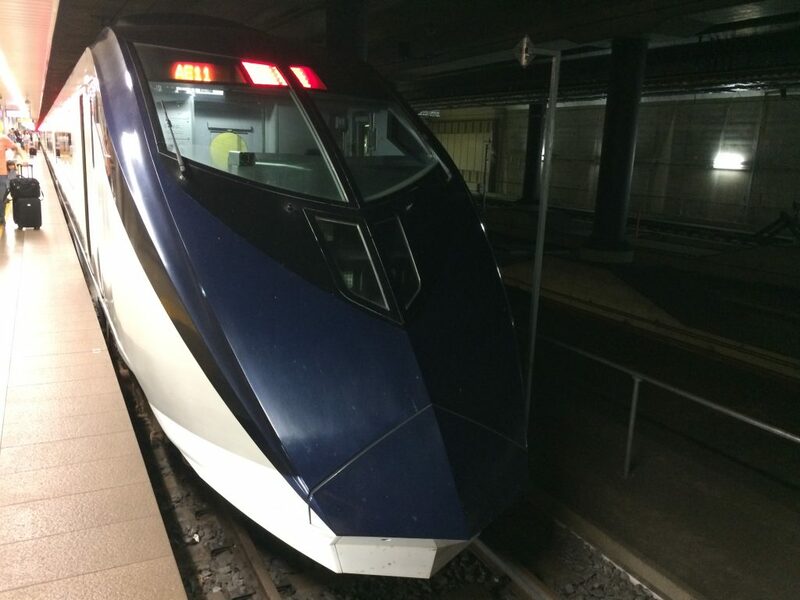 The Sky Liner is by far the fastest option to get to Tokyo from Narita. The transfer to Nippori takes 36 minutes or 41 minutes to Ueno. A Keisei Narita Airport Train. Credit: Peter Broster. Licensed under CC. The Sky Access Express is a an express version of the regular Keisei main line train. 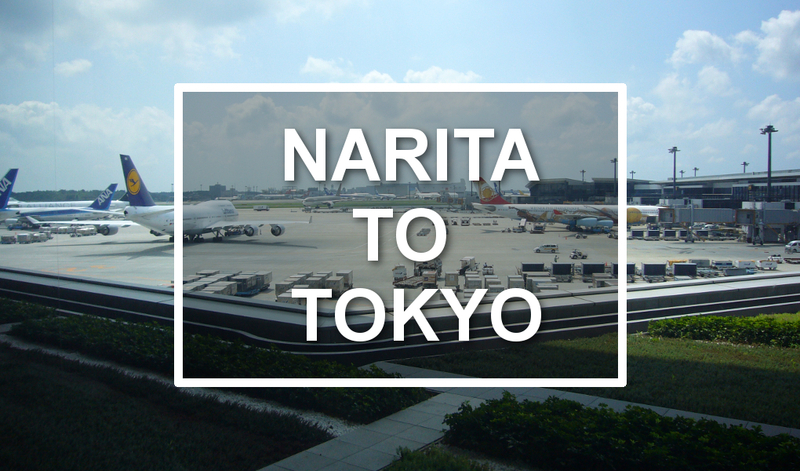 It is a cheap option to get from Narita Airport to Tokyo. 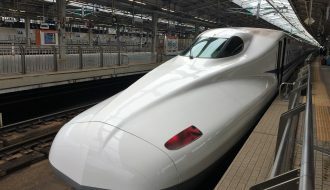 A one-way ticket from Narita Airport to Nippori will cost you around ¥1,240 but is just as quick as the Narita Express. Sobu Line local train. Credit: Hans Johnson. Licensed under CC. There are multiple ways to get from Narita Airport to Tokyo by local train. These options are generally slow, and not much cheaper than the Sky Access Express. The advantage is, that you can still take them later in the evening when the express trains and dedicated airport trains don’t run anymore. Be aware though that generally none of the trains run between midnight and 5a.m. 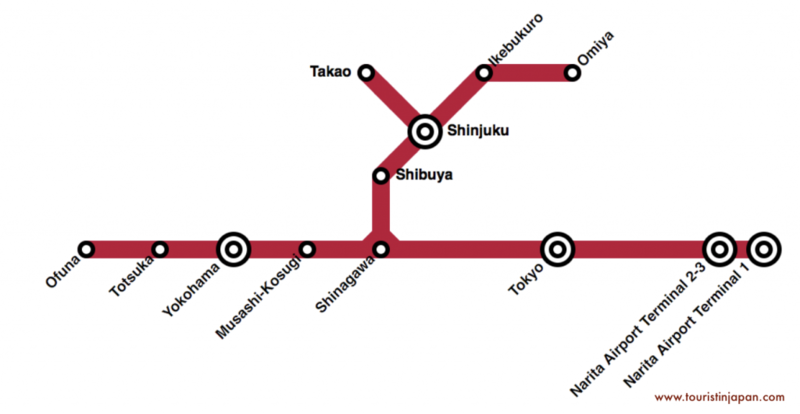 The Keisei Main Line takes about 1h10min from Narita Station to Nippori Station. JR East also operates lines which combined can take you from Narita Airport to Tokyo at odd times. 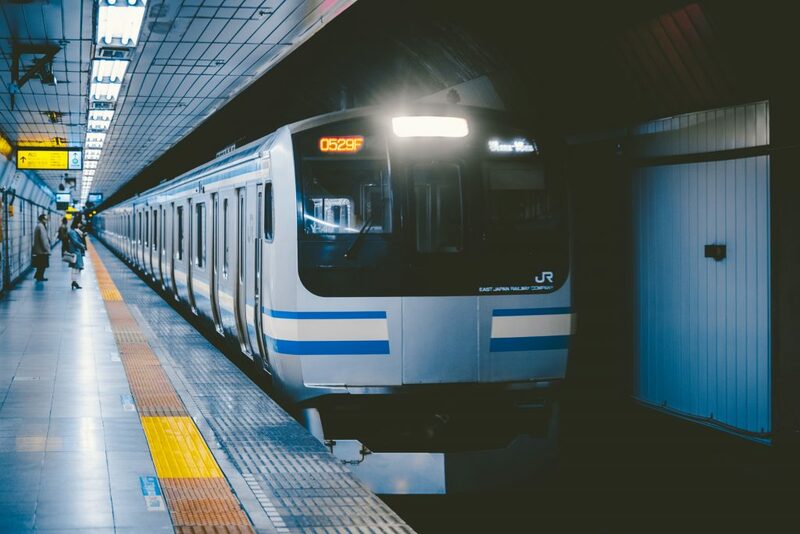 You can take the JR Narita Line from Narita Airport to Chiba Station (32 minutes) and then on from Chiba Station to Tokyo Station on the JR Sobu Line. Limousine Bus from Narita Airport. Credit: Hans Johnson. Licensed under CC. 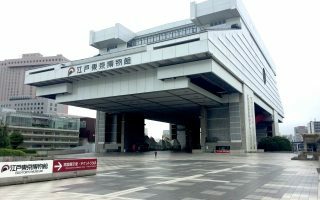 There are many options for getting from Narita Airport to Tokyo by bus. However Narita is so far from Tokyo, that there aren’t any local buses. You either have to take a shuttle bus or a limousine bus. If you aren’t in a rush then you can save some good money by taking a bus. Keiseibus operates shuttle busses between Narita Airport and central Tokyo. The prices are very reasonable making it a budget friendly option if you have an extra hour or so to spend. 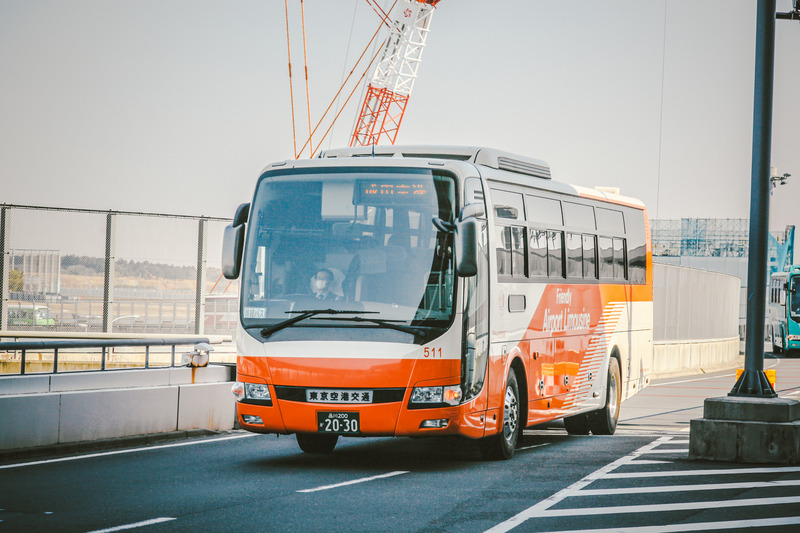 Additionally the busses are very frequent, leaving about every 20 minutes from Narita Airport. 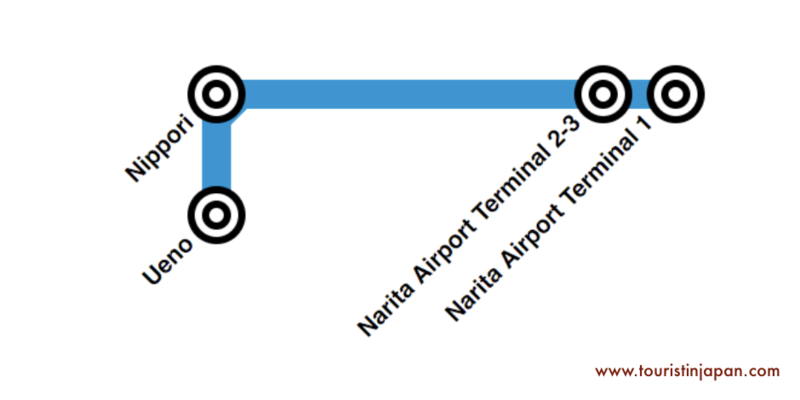 Access Narita offers frequent busses between Narita Airport and central Tokyo. Other than being the cheapest option, another big selling point for Access Narita is that you don’t need to make a reservation in advance. You can simply walk up to the bus and pay onboard. That’s flexible! Of course it comes with the risk that you have to wait a little longer for your turn. If you want a bit more space and luxury than you get with the shuttle bus, then the Limousine Bus might be something for you. You typically get bigger seats, on-board wifi and your luggage is conveniently stored in the trunk. Taking the taxi from Narita to Tokyo is really convenient. You get dropped of right at your hotel, and don’t have to drag your luggage around a crowded train station. The downside is the price. 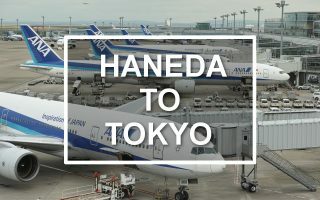 Prices from Narita Airport to Tokyo are fixed-fare, but vary depending on which area you are going to. 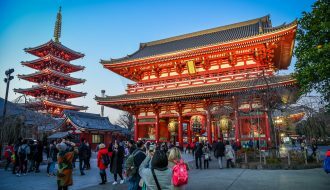 Expect to pay around ¥20,000 ($180/€160) one-way. Find the most recent fixed-fare price chart here. Cover photo: credit Yazan Badran, flickr.com. Licensed under CC. Edited.